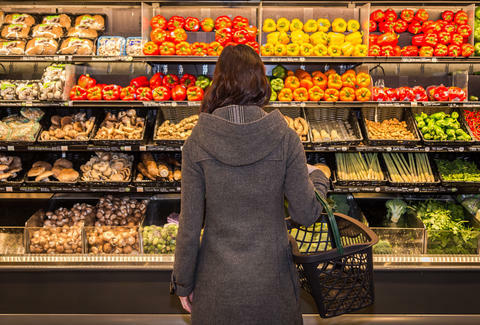 A trio of recalls on vegetables impacts food purchased at a wide variety of grocery stores including Whole Foods, Trader Joe's, Target, Walmart, Aldi, Meijer, and Albertsons. Two of the three recalls stem from California's Mann Packing due to the potential for Listeria monocytogenes contamination. The third is for Meijer's Meijer brand packaged produce, which is also carrying a warning of potential Listeria contamination. A statement from Mann Packing clarifies its recall is due to a single positive result found during random sampling by the Canadian Food Inspection Agency. At this point, no illnesses have been reported. Recalled products from Mann are for products with a "best if used by" date ranging from October 11 through October 20. Its products are packaged under the Mann brand, as well as familiar names like Archer Farms, Signature Farms, and others. The Meijer recall affects 35 different products packaged in Illinois, Indiana, Kentucky, Michigan, Ohio, and Wisconsin between September 27 and October 20. The CDC notes that children, the elderly, and pregnant women are most susceptible to listeria's worst symptoms, which include fever and diarrhea. Symptoms can occur anywhere from the same day to 70 days after contact with the bacteria. If you've purchased any affected product, toss it or return to the point of purchase for a refund. Check the FDA site for a full list of Mann recalls, and a list of the select Whole Food locations that carry the products. Here is the recall list from Meijer.